1. System of IRMT documentation and inventory of the museum collections has been developed to describe each object, its current position, location in the museum. Electronic records include incoming Registration List, Inventory Fund list, Exhibit inventory card, List of abbreviations, topographic description. 2. Work carried out to set up collections data base in Access, the work is almost completed. 4. Museum objects in the Roerich House are cataloged, inventoried, visually documented. Identification and initial assessment of most museum objects have been carried out. 5. Every year new areas were included in the inventory. In 2010, special attention was given to storage and initial assessment of documents, books, various papers. Major storage areas were inspected and cleaned, anti-insect protection placed, most valuable and worn out papers put into envelopes and transferred to safer places. Initial assessment and inventory with location of the paper fund were made. Inventories are available in storage areas. 6. An inventory of minerals located in George and Svetoslav Roerich's room with photos. 1. For preserving museum exhibits and premises, clear safety and security film (4 mil Clear Safety & Security film; 8 mil Clear Safety & Security film manufactured by Llumar corporation) has been purchased and applied to all the windows of the museum - the first and the second floors. The security film has shock proof capacity; non-split glass quality; thermo insulation; UV protection and higher fire proof capacity. Class A-2 level of security according to regulation РД 78.148-94 of the Ministry of Interior of Russia. UV protection of museum exhibits and premises. When applied the film reflects 99 % UV rays. Thermo insulation, as the film has capacity to reflect infrared rays which protects the premises from overheating during hot season and reduces loss of heat during cold season by 20-40%. Aspiration psychrom?tre МВ-4-2М - 1 pc. Digital hygrometer/thermometer BT400 - 3 pcs. Usage of these devices affords to perform limited airing and ventilation of the museum premises. 3. Digital thermometers are calibrated every 6 months. Records are in place. 4. Daily monitoring of the environment was introduced and carried out from 2008 by the ED. A journal for daily record of temperature and relative humidity is being kept. 5. Data collected in the journal will provide necessary statistics to work out the future ventilation project for the Museum. 6. To ensure the necessary temperature and humidity in the Art Gallery, four dehumidifiers IEC 290 have been purchased and installed. Dehumidifiers enable to maintain the level of relevant humidity required for the proper storage of paintings. It should be noted that the air temperature does not increase more than by 4 ?С. Dehumidifier operation mode is defined by the monitoring results of Aspiration psychrometer and digital hygrometer. 7. In order to protect the exhibits from the visible solar light, textile has been purchased and curtains have been made for the Museum. Taking into consideration the fact that visitors view the exposition through outside windows the curtains are to be closed during all hours without visitors. In the Art Gallery curtains are closed. 8. Regular cleaning of the premises is carried out on a weekly and monthly basis, overall cleaning is performed every 6 months (spring and autumn). High quality vacuum cleaner Bolido, Electrolux has been purchased to enable proper cleaning of the premises. Anti-moth protection in the rooms is renewed every May and September. It should be pointed out that all above mentioned adopted measures are in accordance with the best international museum practice. 1. Sample of silver fish has been submitted to special biological laboratory for expertise. A report on the silver fish and protection against it has been delivered. 2. Chemical anti-insect means were purchased and brought to Naggar. 3. Book cases, wardrobes, writing desks, were cleaned and chemicals were applied in the areas where documents, books, magazines are kept, traps against silver fish were placed. 1. In order to protect original Roerich paintings in the Art Gallery, following was done: Purchase of High professional Museum alarm equipment - the wireless radio safety system Strelets, with radio and magnetic sensors, monitoring modules, and NAVIgard alarm system in August 2009 sponsored by Daniil Shestakovsky, Moscow, Russia. 2. Fire alarm detectors have been mounted. 3. Extra safety sensors have been mounted and integrated into the museum safety systems. 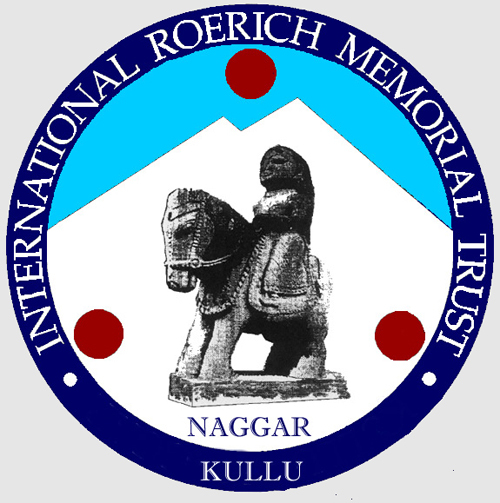 All above mentioned Museum works have been done in close cooperation with the "Committee of the Friends of the IRMT" from Moscow, Russia, through their volunteer selfless contribution. 4. Urusvati Institute exhibition halls were prepared by the ED and handed over to the Guides of the mentioned Exhibition places. Every evening guides will have to sign in the Register, thus testifying that all items are at their respective places. In October 2011, Video Surveillance System (2 cameras) with DVR Recorder were donated by the Moldavian Roerich Society, and installed at the Art Gallery ensuring 24 hours monitoring and recording at the Gallery, thus providing third level of security for the Gallery.